[Newsmaker] Could opposites attract at Trump-Kim summit? 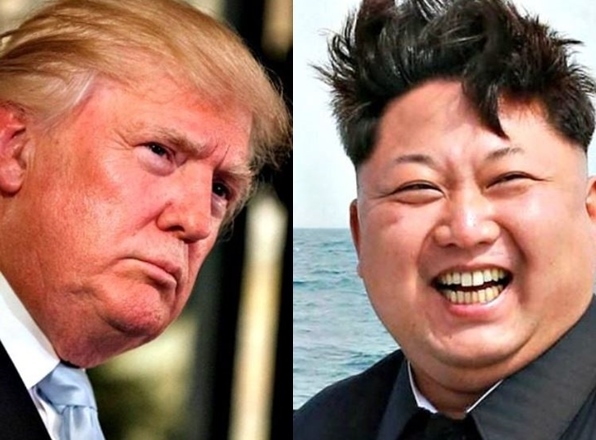 When US President Donald Trump and North Korean leader Kim Jong-un sit down in Singapore next week it will be among the most improbable diplomatic summits in history, with principals who could not be more different -- but who also share some surprising similarities. Trump was the oldest US president ever to take office when he was sworn in last year, and will turn 72 two days after the meeting. The North Korean leader is still in his mid-thirties and remains among the youngest heads of government in the world -- but has already been in power for more than six years. But recent months have seen an about-turn in their rhetoric -- last-minute summit cancellations and reinstatements notwithstanding. Both Trump and Pyongyang are renowned for incendiary commentary, but Kim has displayed a marked tendency to listen to his counterparts in his new-found diplomatic role -- until earlier this year he had not left the North since inheriting power from his father. He had a long conversation with Chinese President Xi Jinping on a beach in Dalian, and at the first inter-Korean summit in the Demilitarized Zone that divides the peninsula, attentively heard out the South’s President Moon Jae-in as they chatted over tea in the open air for more than half an hour. Trump too has asked questions and listened carefully to the answers on his trips to China and South Korea, Delury added. In contrast, Kim Jong Un was the chosen heir, groomed for years to take his place at the top of Pyongyang’s political pyramid, and has no need to worry about re-election or tomorrow‘s media headlines -- or responding to them on Twitter. But the two leaders share some parallels. Both have appointed trusted family members to key positions. Dynastic descent from the North’s founder Kim Il-sung is the basis of Kim’s personal legitimacy -- Pyongyang’s propaganda promotes the similarities between them in looks, mannerisms and even handwriting. His sister Kim Yo-jong has emerged as one of his closest aides, acting as his envoy to the Winter Olympics in the South, spending almost the whole of the first Panmunjeom summit at his side and accompanying him on his trip to Dalian, China. In Washington, Trump’s daughter Ivanka is an assistant to the president and her husband Jared Kushner is a close adviser, while his son Donald Jr. was part of his election campaign. The two leaders are also uncompromising in their demands for personal loyalty. In the month from Feb. 28 Trump sacked or lost the services of his White House communications director Hope Hicks, chief economic adviser Gary Cohn, national security adviser HR McMaster, Secretary of State Rex Tillerson, and Veterans Affairs Secretary David Shulkin. The latest North Korean changes of personnel emerged at the weekend, with reports that the defense minister and chief of the general staff had been replaced, after Kim appointed a new director of the military’s General Political Bureau described as a “highly trusted” lieutenant. Kim has shown uncompromising ruthlessness -- he had his uncle Jang Song-thaek executed for treason in 2013, unmistakably asserting his authority over the old generals who surrounded him, and his half brother Kim Jong-nam was murdered at Kuala Lumpur airport last year in a killing widely blamed on Pyongyang. And as well as nuclear weapons, a long hand clasp could be high on the agenda in Singapore. Both men have shown a predilection for grasping the palms of their fellow leaders, Trump with the likes of French President Emmanuel Macron and, more awkwardly, with British Prime Minister Theresa May.